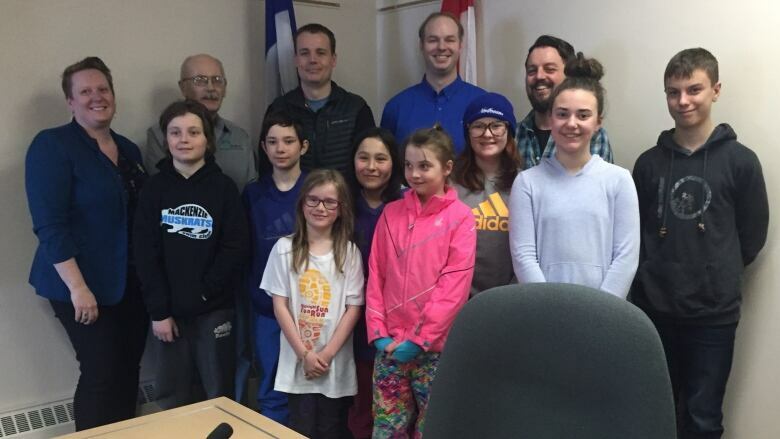 Youth in Inuvik are putting pressure on to ban plastic, and at least one store owner is listening. They gathered in town council chambers Wednesday afternoon to grill Northmart manager Kevin Giesbrecht on his store's use of plastic. Fletcher Dares, 13, was the first to speak. He used the opportunity to show he'd done is research. "It usually takes plastic 500 to 1,000 years [to] degrade," he said. Dares then went on to point out the Northern Store in Tuktoyaktuk no longer uses plastic bags, because the community has banned them. This was news to Giesbrecht. 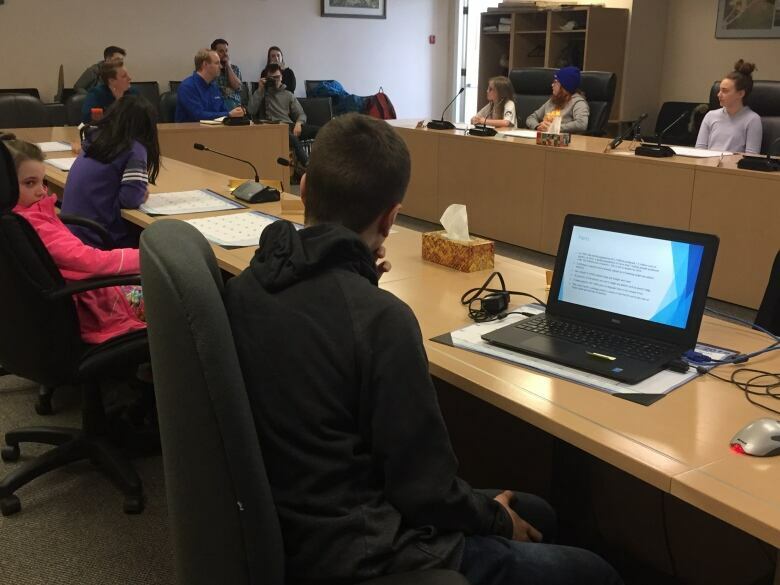 The group of youth goes by "Climate Action Inuvik" on Facebook, although they haven't decided on a permanent name. Their mission is to pressure the town's leaders to be more environmentally friendly, in an effort to combat climate change. They have been marching every Friday during the noon hour for the last three weeks, holding signs that say, "Ban single-use plastic" as they circle Northmart. Dares said this meeting seemed like a good next step. "We did some talking about how we can get some impact within our town," he said. The group didn't hold back, asking Giesbrecht question after question. One of the most popular lines of questioning was in regards to plastic wrap on vegetables, such as green peppers, and if there is any way to eliminate it. Giesbrecht said the plastic is meant to preserve the vegetables, but it's a question he's gotten numerous times. He said when he was asked to have this meeting, he was immediately interested. "I wanted to do it right away," said Giesbrecht. "When I heard about the topic being on plastics, it's something that I haven't fully looked into … So I was really looking forward to seeing what the students could bring up and what we could possibly do." He said he was impressed with how knowledgeable the kids were. Giesbrecht said his store is doing other things to reduce its carbon footprint — it will become the first in the company to install solar panels. He said he's also willing to look into cutting out single-use plastic bags, adding Northmart does offer cardboard and reusable bags. Giesbrecht said he's planning to look into alternatives for how food items are wrapped as well. As for the students, they said they are going to continue to march, in hope that if Northmart makes a change, it will create a domino effect in town. "We can use that to pressure the other stores … to go the same way," said Dares. This story originally stated the hamlet of Tuktoyaktuk had banned single-use plastics. In fact, they have only banned plastic bags.